Savannah Graduates, a new community-wide initiative focused on creating a more educated workforce in Chatham County, has named Joe Buck as the organization’s executive champion. In this role, Buck will meet with community leaders, work with members of the organization’s executive council and develop new partnership opportunities. “With his years of service and commitment to education, there is no one more qualified to lead the Savannah Graduates effort as we get started than Joe Buck,” said Trip Tollison, president of the Savannah Economic Development Authority. Throughout his professional career, Buck has had a strong commitment to education, serving as the president of the Savannah-Chatham Board of Public Education from 2007 to 2014, executive director of the Southern Association for College Student Affairs (SACSA), president of the Southern Association for College Student Affairs and president of the Georgia College Personnel Association (GCPA). During his 39-year career at Armstrong State University, Buck enriched the lives of students, serving as director of student affairs, dean of student affairs, vice president for student affairs and, ultimately, retiring in 2006 as vice president for student affairs emeritus. Buck is also a dedicated community leader and has volunteered in a variety of capacities including serving as Sunday School Teacher at Isle of Hope United Methodist Church, former chair of the Administrative Board and Council on Ministries, past trustee of the Georgia Public Education Foundation, past president of the Rotary Club of Savannah East and past chair of the board of directors and general campaign chairman for the United Way of the Coastal Empire. He is also president and chairman of the board of directors for Leadership Savannah and a former member of the board of directors for Leadership Savannah. In addition to Buck’s professional experience and service, he has also earned a number of prestigious awards including being named the Rotarian of the Year for the Savannah district. 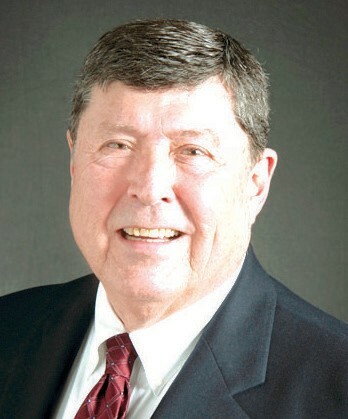 He is also the recipient of the United Way Spirit of Volunteerism Award, a Junior Achievement/Savannah Business Hall of Fame inductee and the recipient of the Savannah Area Chamber of Commerce’s elite General James Oglethorpe Leadership Award. Buck earned an Ed.D. in University Administration from the University of Georgia, an M.S. in Higher Education from Florida State University and a B.A. in Sociology from Auburn University.